If taking those first few steps after getting out of bed causes you agonizing foot and heel pain, you might have plantar fasciitis. As a dedicated podiatrist who offers innovative plantar fasciitis remedies, Mariola Rivera, DPM, can help you get plantar fasciitis relief at Aesthetic Podiatry & Sports Medicine Center in White Plains, New York. Click on the online scheduler to book your plantar fasciitis evaluation, or call the clinic to book. Plantar fasciitis is the medical term for chronic inflammation of your plantar fascia, which connects your toes to your heel bones, supports the arches of your feet, and is durable enough to stretch like a bowstring. You may also have a higher risk of developing plantar fasciitis if you have tight Achilles tendons, which connect your heel bones to your calf muscles. This is why proper stretching before exercising or working on your feet all day is so important. Plantar fasciitis is the leading cause of heel pain. It may feel like you have stabbing or throbbing pains in your heel with every step you take. This pain isn’t typically an ongoing issue. 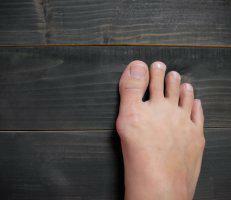 Usually, plantar fasciitis is worse when your plantar fascia isn’t properly stretched out. You may notice that pain is much more intense during those first few steps after getting out of bed or after walking around when you’ve been sitting for long periods. The more you get moving, the more your plantar fascia stretches out, so your pain naturally subsides. Plantar fasciitis is also linked to heel pain, arch soreness, and even swelling after periods of intense training or exercise. It probably won’t bother you during your workout, but as soon as you stop, plantar fasciitis tends to flare up quickly. 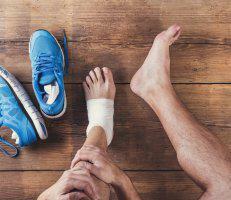 Is there a good treatment for plantar fasciitis? Dr. Rivera even offers regenerative therapies, such as stem cell injections and platelet-rich plasma (PRP). When injected, these solutions help stimulate new tissue growth and decrease inflammation for long-term plantar fasciitis relief*. If you suffer from agonizing plantar fasciitis pain, book at evaluation at Aesthetic Podiatry & Sports Medicine Center today. You can conveniently schedule online or over the phone.